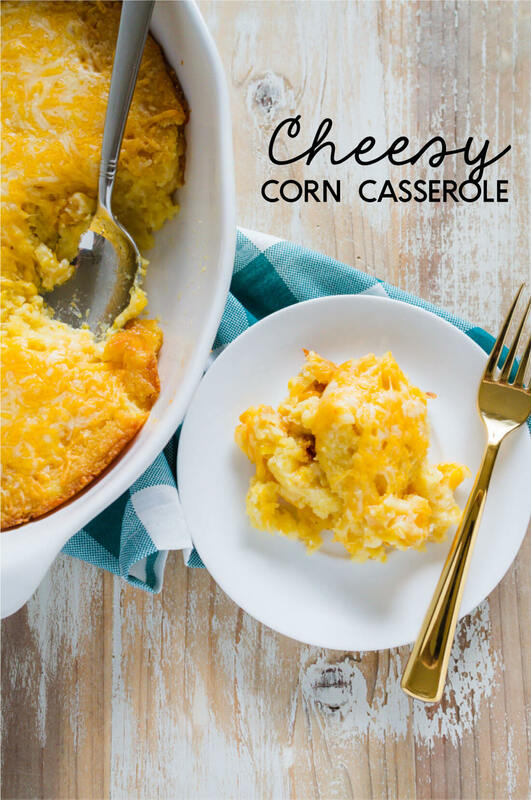 When you just aren’t sure what to serve on the side of your main dish, this Cheesy Corn Casserole comes to the rescue! Let’s chat about side dish recipes today shall we? I think I’ve mentioned before how much I struggle with matching side dishes to main meals. I don’t have a huge problem figuring out what to fix for the main dish. But then I stand at my fridge and pantry thinking- what on earth goes with that? Am I the only one that has side-dish-itis ? 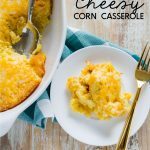 I grabbed an old church cookbook (yes, my favorite) and made this delicious and oh so easy Corn Casserole. 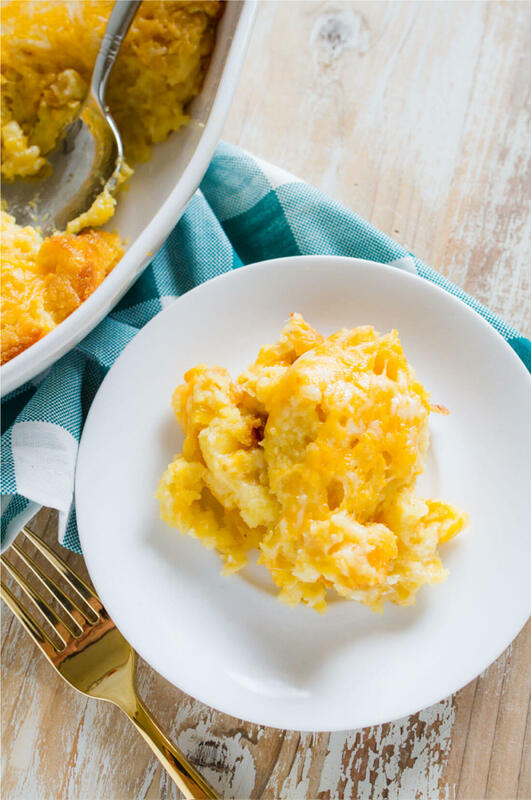 This would go perfectly with Mom’s Chicken Enchiladas or Slow Cooker Baked Potato Soup. Another one for a blistery cold day that makes you feel all warm and fuzzy inside. 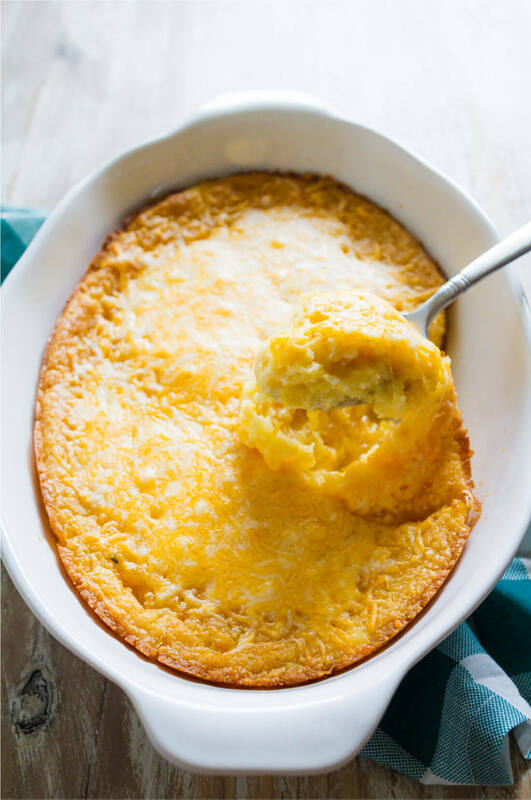 This Cheesy Corn Casserole is the perfect side dish! In a large bowl, stir together the 2 cans of corn, corn muffin mix, sour cream, and butter. 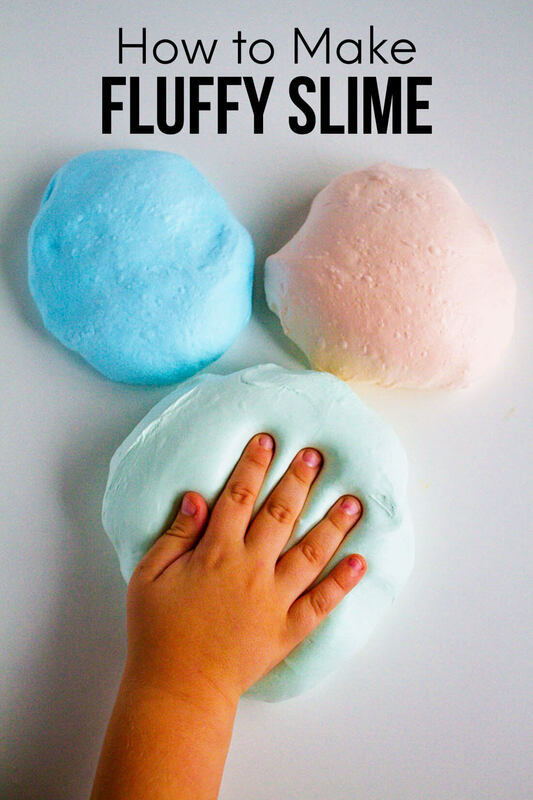 Pour into a greased 9 by 13-inch dish. Bake for 45 minutes, or until golden brown (check to make sure not to over bake, oven times vary). Remove from oven and top with cheese. Let stand for at least 5 minutes and then serve immediately. For this recipe I used Mexican Cheddar Jack. The original recipe calls for regular cheddar. Which you can totally do. But I like the little kick that jack gives. You could also add a can of green chiles to this for even more spice. Mmm…. I think I’ll do that next time.